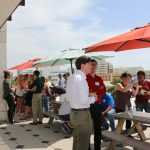 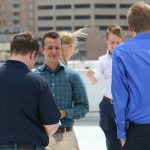 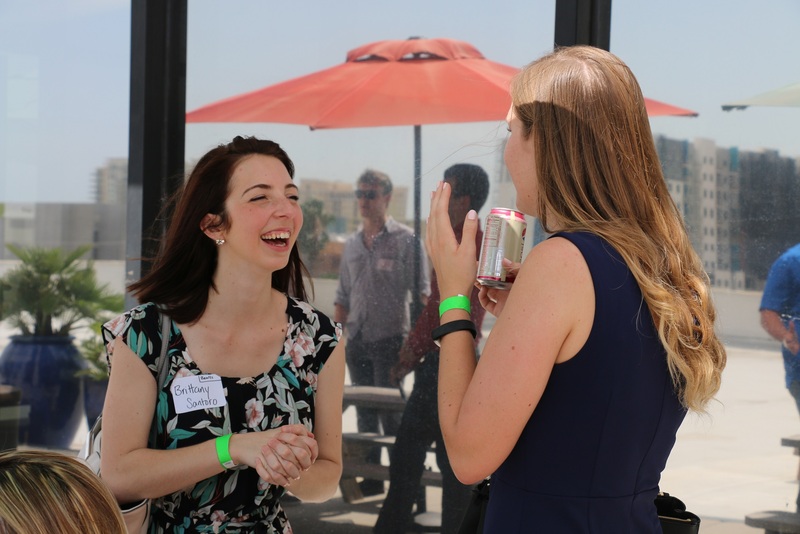 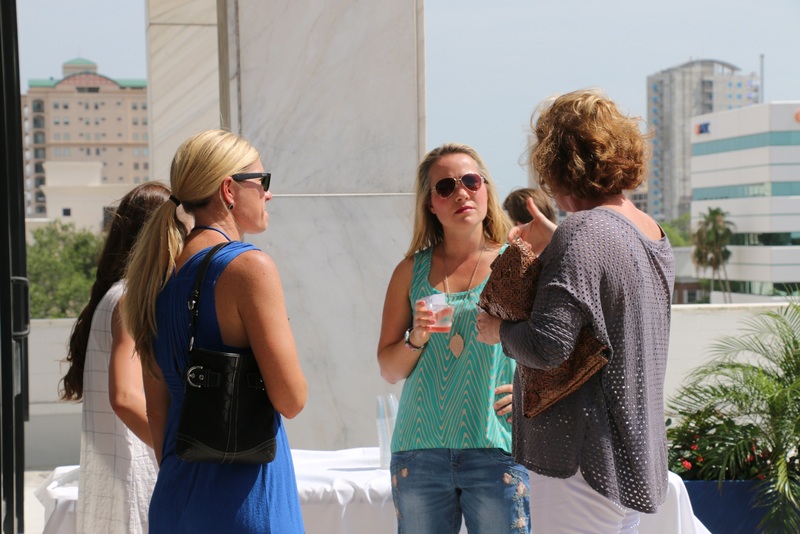 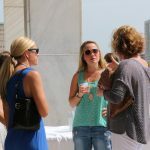 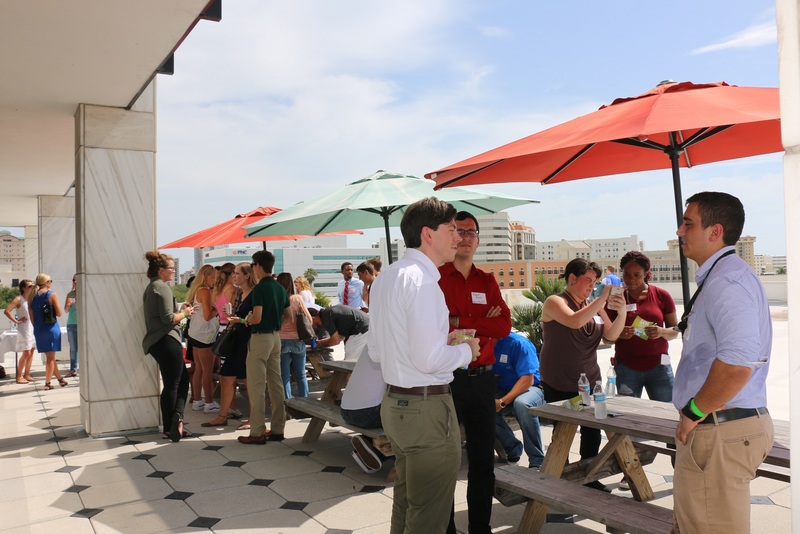 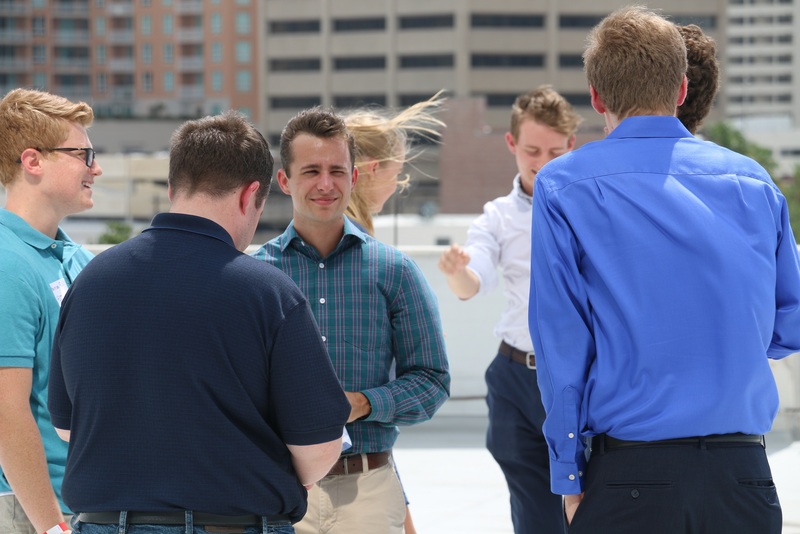 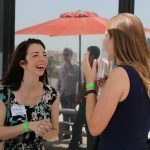 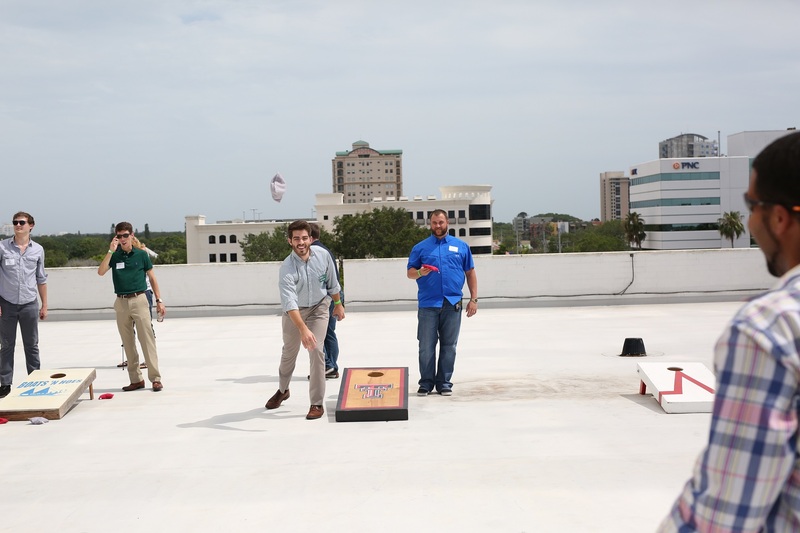 SARASOTA, FLA. — On the fourth floor rooftop patio of S-One Holdings Corporation’s headquarters in Downtown Sarasota, a group of young professionals gathered for the first intern mixer, a collaborative event put together by area businesses that recently joined forces to create Gulf Coast Millennials in Motion. 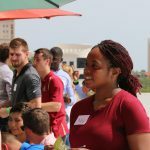 The group formed when Kerkering Barberio & Co recruiter Camille Norman approached the Gulf Coast CEO Forum for ideas to keep bright, young intern talent in the area, rather than losing them to full-time jobs in bigger cities. 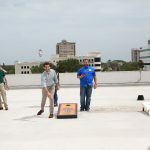 The team at the CEO Forum embraced the idea as an extension of BIG: Bright Ideas on the Gulf Coast. 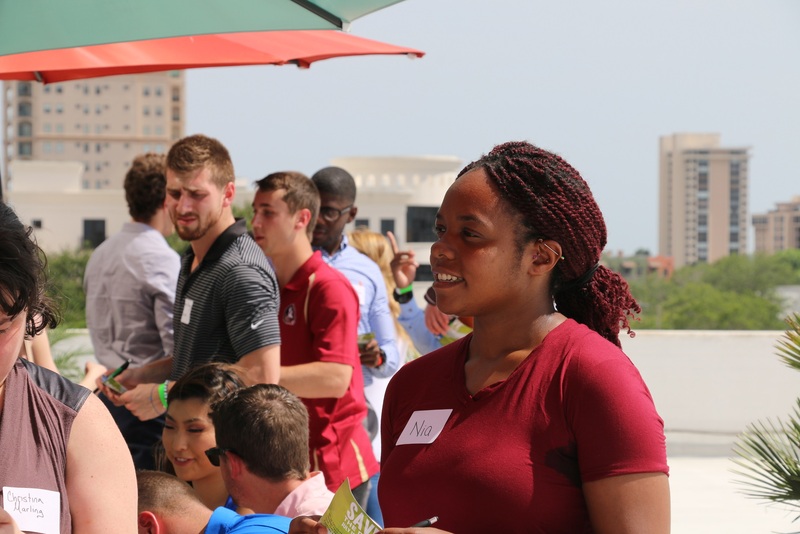 The Millennials in Motion group includes several companies headquartered in the Sarasota-Manatee area, such as Boar’s Head, Bealls, Tervis, IMG, Florida State Theatre, Asolo, Kerkering Barberio & Co and S-One. 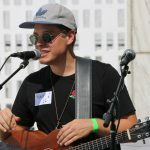 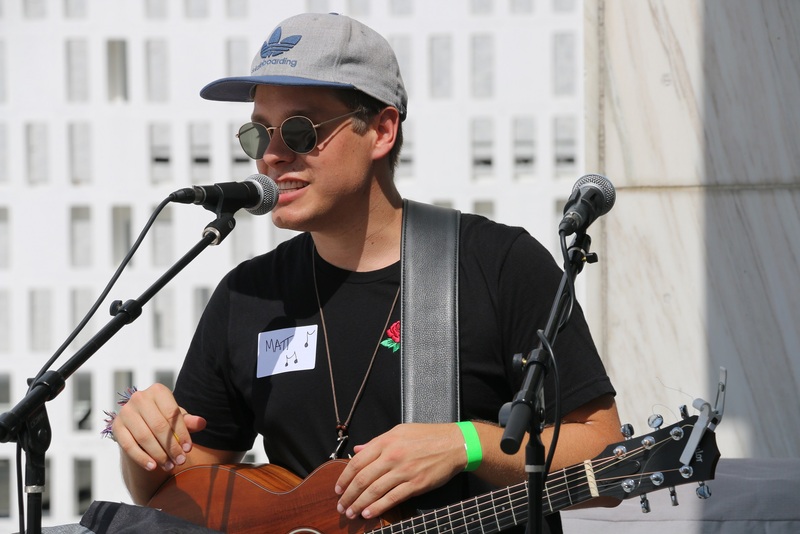 About 55 interns from those eight companies attended the event, which featured barbecue from Choo Choo’s Catering and entertainment by Bradenton-native singer-songwriter Matt Walden. 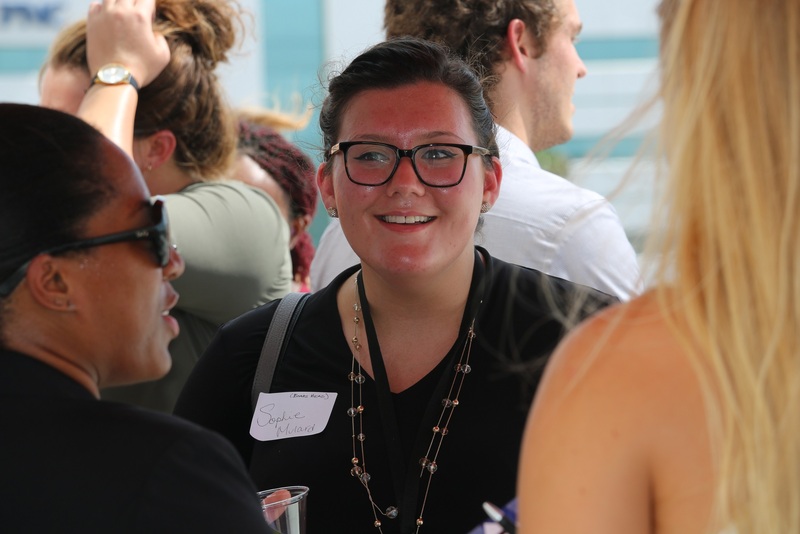 The next intern mixer is scheduled for July 12 at IMG for a lunch and learn, tour and a bit of athletic competition. 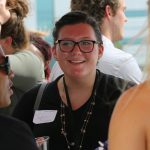 Companies interested in Gulf Coast Millennials in Motion can email BIG@gulfcoastceoforum.com.